Баку-Москва - 2014. Будет ли разворот на Север? 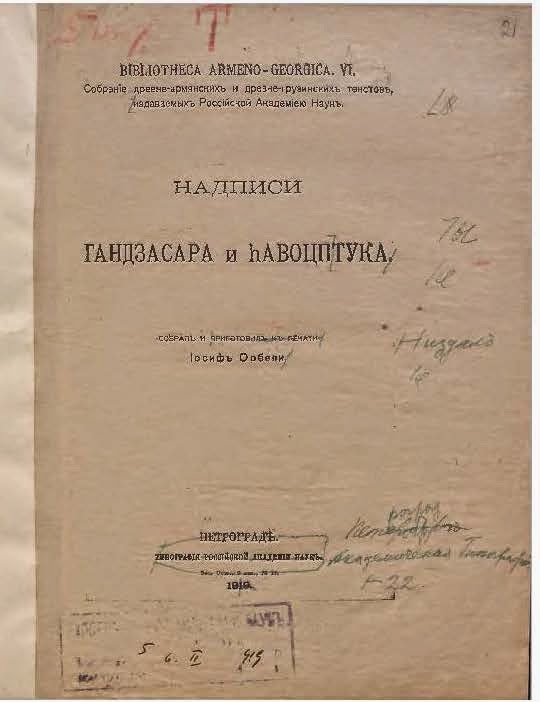 When a department head at the Azerbaijani Presidential Administration, Fuad Axundov, said that he had found in the archives of St. Petersburg the book "Inscriptions and Gandzasar and Havotsptuk" by the Russian Soviet historian I. Orbeli, it caused great repercussions in the historical circles of our region. After all, it was a book, the entire edition of which was believed to have been destroyed in 1919, and the author of this work later stopped dealing with this subject and became a prominent scientist in a completely different field. But a real sensation was caused by the preliminary result of the study of this work made public by Axundov himself at the international conference "Historical and Cultural Heritage of Ethnic Groups of Caucasian Albania in the Context of Human Rights" held on 10 June this year in Baku. It turned out that Orbeli's book was another mine planted in the early 20th century under the centuries-old system of Armenian falsifications of history. Another reason for the disappointment of falsifiers who misled their own people was the exposure of two anti-Azerbaijani films presented recently in Yerevan. 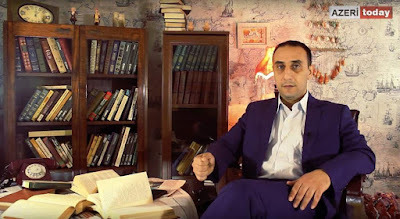 We asked the author of these revelations, a department head at the Azerbaijani Presidential Admini-stration, Fuad AXUNDOV, to tell us about details of what is happening. - In your report, you said that the mystery of Orbeli's book has unravelled. So what is this mystery? - The matter is that at the beginning of the 20th century Russian Soviet scientist I. Orbeli unwittingly caught the Armenian Church red-handed in his studies. He indicated that the translation of inscriptions on the monument of the Albanian civilization - the Gandzasar [Qandzasar] monastery complex, situated on the territory of Azerbaijan occupied by Armenia, was done incorrectly and falsification had taken place. That is why his book "Inscriptions of Gandzasar and Havotsptuk" never saw the light, and the circulation released in 1919 was completely destroyed. 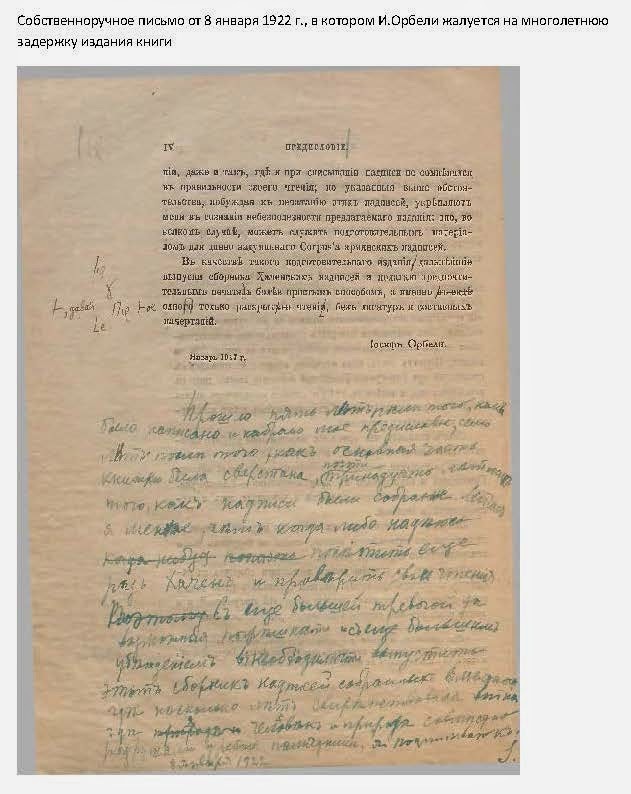 Orbeli himself wrote a letter in 1922, complaining and expressing his incomprehension about the reasons for the delay in the publication of his book. He notes that it has been 5 years (since 1917) since the book went to press, 7 years (1914-1915) since the text of the book was composed, and 13 years (since 1909) since he collected the inscriptions of Gandzasar, but the book never saw the light. I often read about the disappearance of the book and set myself a goal to find at least some traces of it. In 2011, I managed to find a copy of the work in St. Petersburg and deliver it to Baku. 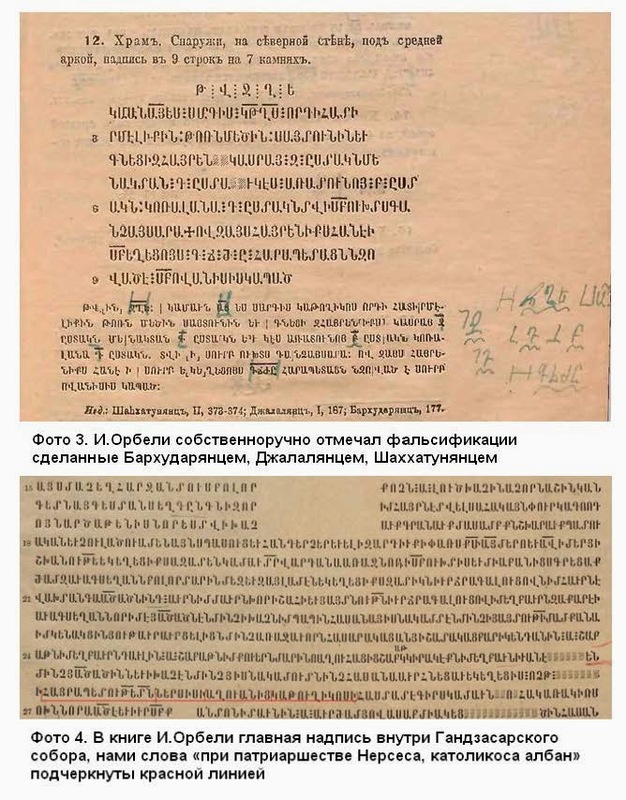 Initially, the Armenian side claimed that Orbeli's book did not exist at all, and then, when I found it, they began to argue that the book typefaces had been washed away by a flood in Petrograd and therefore, the book was not published. However, we found out that it was a lie - there were no floods in Petrograd that year, and the typefaces - letters of the book were not stored where Armenians indicated. After that, the Armenian side, admitting the existence of the book and even purchasing it, promised to translate it into Russian and allegedly "expose" us, but they still have not translated it. Now, at my request a group of foreign and Azerbaijani scientists is translating inscriptions of Gandzasar collected by Orbeli. Based on its results, it is planned to publish the work of Orbeli and translate the inscriptions. - It turns out that all copies of Orbeli's book were destroyed because they shed light on Armenian falsifications? - The answer to this question lies in the book itself. We have already explored some of the inscriptions found by Orbeli in Gandzasar during his expedition there in the early 20th century. These inscriptions were compared with the photographs of their current condition, as well as with their translations made by various authors in 150 years. Masses of falsifications were discovered. In particular, in his book Orbeli himself indicates the errors and falsifications of previous translators of inscriptions, who were 19th century clerics S. Jalalyants, H. Shahkhatunyants and M. Barkhudaryants, who had received a rank from the Armenian Church and wrote to its order. 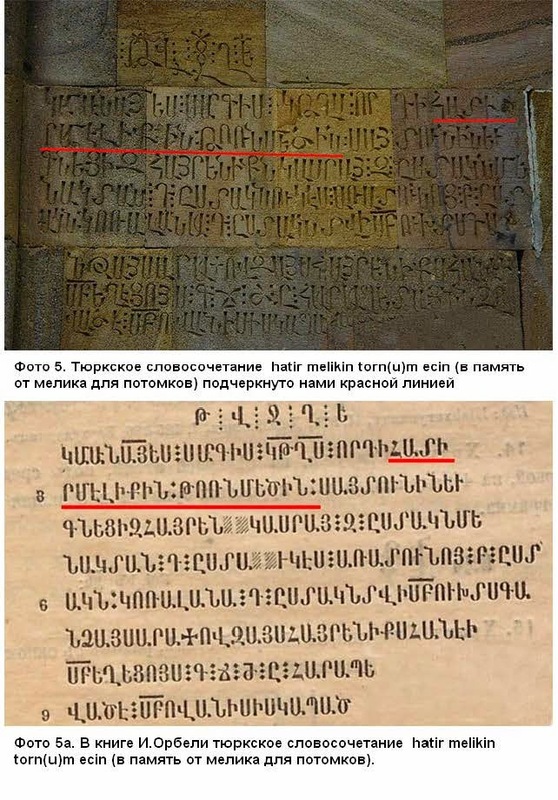 Numerous cases were also identified when old slabs with inscriptions in Gandzasar were replaced by Armenian falsifiers. 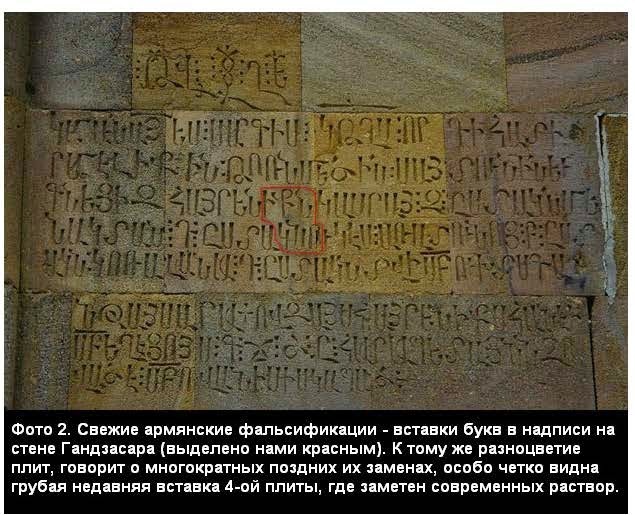 In addition, our specialists found and translated Gandzasar inscriptions made in the Turkic language in the Middle Ages. 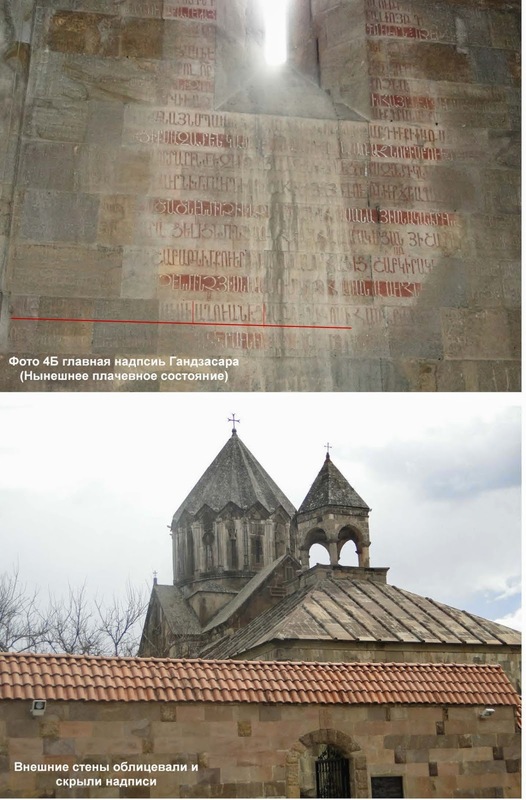 And on the main inscription inside the Cathedral of St. John the Baptist in Gandzasar full titles of Albanian Catholicoses have been discovered. We are talking about the title: hayrapetuthetn nersisi aluanits katolikosi (under the patriarchy of Nerses, the Catholicos of Albanians). The Armenian side prefers not to mention the patriarchal rank of the Albanian Catholicos. The rank of patriarch of the head of the Albanian Church showed that the Albanian Church is independent and ordained by the apostles of Jesus, i.e. it is autocephalous. Thus, the main inscription of Gandzasar shows that Albanian Catholicoses retained their patriarchal rank in the Middle Ages. Besides, according to Russian archival materials, it was established that the patriarchal rank of the Albanian Catholicos existed in Karabakh until the beginning of the 19th century, after which it was abolished and Albanian churches were handed over to the Armenian Church of Echmiadzin. We continue our hard work to study archival materials, correspondence, maps and medieval manuscripts, according to which one can reveal many more secrets in the history of Azerbaijan and the Armenification of its rich cultural-historical, architectural and spiritual heritage. In the near future, we will make documentaries on the results of these studies. 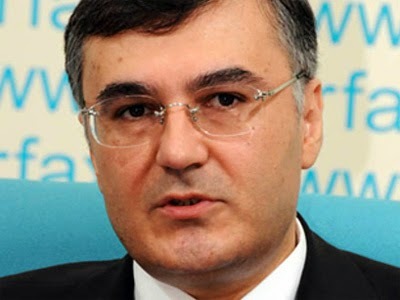 - Apparently, some forces decided to turn the great potential of the young scientist in another pro-Armenian direction. In fact, in exchange for refusal to return to the study of inscriptions at Karabakh temples he was promised a meteoric career growth. In 1924, being a young scientist, he became a corresponding member of the USSR Academy of Sciences at 37, then an academician of the USSR Academy of Sciences and an academician of the Armenian SSR Academy of Sciences and its first president. Later he was appointed director of the St. Petersburg Hermitage. - First, I should note that these anti-Azerbaijani films were presented in Yerevan on 28 May, i.e. the Independence Day of Azerbaijan. Undoubtedly, they were a kind of reaction from the Armenian authorities to statements by Azerbaijani President Ilham Aliyev, who has repeatedly noted that the current "Armenian state was established on our territory, on ancient Azerbaijani land, in Iravan [Yerevan], Goyca and Zangazur". We are carrying out research projects to study the history of Azerbaijan as a result of which a film was made about the historical centre of Yerevan - the Erivan fortress built by Azerbaijani Safavid rulers 500 years ago and now destroyed by the Armenian authorities. In response, the Armenian authorities took several steps to conceal the truth about the Azerbaijani medieval heritage of Yerevan and Armenia. With state support, they made the two aforementioned films, where the Armenian side, without changing their traditions, decided to falsify the facts and prove that Yerevan is older than ancient Rome and was not built as a city by Azerbaijani rulers. As evidence that Yerevan existed as a city before the construction of the Ravan/Iravan fortress, Armenian falsifiers cite a coin of the 14th-15th centuries minted also by the Hulaguid ruler Anushirvan, which allegedly says that it was minted in Yerevan! However, an inspection revealed that this coin mentions not Yerevan but Marivan located in Iranian Kurdistan, whereas the Armenian falsifiers, talking about this coin in the film, claim that "Yerevan" is shown as the place of minting on it. The film shows a glimpse of another coin - by the ruler Abu Said, however, the place of minting shown on it is Royan, a city in Iranian Kurdistan. We have ample evidence that present-day Yerevan was founded as a city in the early 16th century. This is evidenced by the book of an Armenian numismatist, which shows the first coins minted by the Safavids in Ravan (Yerevan) in the 16th century. In addition, the Armenian media themselves published reports, according to which coins began to be minted in Yerevan in the 16th century under the Safavids and later under Erivan khans. It is noted that the mint was located at the Erivan khan's palace, which has now been completely destroyed. That Erivan got its name and became a fortress precisely under the Safavids was also written by the prominent Russian and Soviet historian and orientalist, V. V. Bartold. - It turns out that in an effort to prove the belonging of Yerevan to Armenian history propagandists are using medieval Muslim coins? - This is not the first such Armenian falsification of coins and inscriptions. In Soviet times, in 1971, a scientific journal published an angry letter from the patriarch of Soviet oriental studies, Academician Piotrovskiy, about how Armenian falsifiers in the 1950-60s falsified Azerbaijani medieval Ildegizid coins and medieval epitaphs on Azerbaijani graves in the same way, passing them off as "ancient Hayasa coins, petroglyphs and hieroglyphs" belonging to the 17th-19th centuries BC! It turned out that so-called Armenian scientists invented 4,000-year-old "ancient Hayasa Armenian script" by reading Arabic inscriptions on Azerbaijani coins and graves in modern Armenia the wrong way round. That is to say not from right to left, as you read Arabic script, but from left to right! - Why is Armenia fighting its past this way? - Well, first, this past does not belong to Armenian history, but is directly related to Azerbaijani cultural and historical heritage, which is why the current Armenian authorities seek to eradicate any mention of Azeris who once made up the majority of the population in these lands. For example, I offered Armenians assistance in the reconstruction of the historical centre of Yerevan - the Erivan fortress, but they flatly refused our old drawings of Erivan and maps and historical chronicles of the city from Russian and other sources. There are also paintings by famous European artists Tavernier, Chardin, and Russian artists F. Rubo and G. Gagarin, which depict the Erivan fortress of the 19th century in detail. By the way, anyone who wishes to verify the Muslim appearance of the medieval Erivan fortress can view the picture "The Surrender of the Erivan Fortress in October 1827", written in 1893 by the painter of battle scenes F. Rubo, on the website www.erevangala500.com and on the cover of my multivolume "Fraud Busters". I was ready to provide the Armenian side with all historical documents we have to recreate the look of medieval Iravan. But in response to my question as to why, for example, in Baku and Tbilisi the historical centre of the city is preserved in its original form, while in Yerevan it is absent, the Armenian authorities decided to come up with a new sham - to gather several 19th century buildings in the centre of Yerevan and pass them off as the historical centre of the city! That is to say instead of the destroyed medieval Azerbaijani city, European-style architectural buildings built 100-150 years ago will be passed off as the historical centre! It turns out that the Armenians avoid the truth and refuse to participate in any historical research aimed at restoring the historical truth. The Armenian side has shown exactly the same attitude to Turkey's multiple offers to open Turkish archives for Armenian historians to study the events of 1915-1918, when, according to the Armenian side, the so-called "Armenian genocide" took place. As you can see, the opening of archives is a nightmare for Armenian falsifiers. They are terribly afraid of the truth and are therefore sensitive to any proposals for joint research in the field of history. By the way, this month the world community marks the 100th anniversary of the First World War, which radically changed the geopolitical and ethnic map, including of the Caucasus and Asia Minor. In this regard, numerous archival materials of the period are opened and disclosed. In the case of the so-called "Armenian genocide" in the Ottoman Empire, the Armenian side avoids any serious study of the topic, because, as a result, the plan of events to mark its 100th anniversary in 2015 may be disrupted. That's to say Armenians of the world, including the Armenian authorities, are ready to do anything to hide the truth from their people and continue to exploit a false ideological and historical concept that allows them to fool their people and stay in power. l The Armenian authorities flatly refused the old drawings of Erivan, maps and historical chronicles of the city from Russian and other sources, which Fuad Axundov offered them. Instead, they decided to come up with a new sham - to gather several 19th century buildings in the centre of Yerevan and pass them off as the historical centre of the city! l Armenia has rejected Turkey's multiple offers to open Turkish archives for Armenian historians to study the events of 1915-1918, when, according to the Armenian side, the so-called "Armenian genocide" took place. Orbeli noted in his own hand the falsifications made by the Armenian clerics Barkhudaryants, Jalalyants and Shahkhatunyants.